Xavier Institute of Management (XIMB) successfully hosted its three day annual management cultural fest, Xpressions 2014, from 7th to 9th November. Xpressions is the flagship event of the college and is conducted each year. It witnesses huge participation from corporates and colleges across the country. The theme for Xpressions this year was Metamorphosis. Metamorphosis does not signify any state, it is the process of transformation from one form to another. XIMB, with its 27 years of excellence, has now metamorphosed into a magnanimous university. Xpressions, 2014 lived up to its promise of being the biggest and the best. The fest kicked off with an official launch on the 6th of November in the presence of students, faculty and members of the Media. Fr. Paul Fernandes, Director, XIMB, formally declared the event open. Mr. Manikant Nayak from Tata steel was the chief guest for the launch. Tata Steel and Paradeep Port Trust were the Title sponsors while Coca Cola and Aircel were the associate sponsors for Xpressions’14. The first day saw the entire campus filled with enthusiastic participants taking part in several events. Myriad competitions were organized that tested individuals as well as teams on various parameters. The flagship business game events, Gladiator, Skill City, Helios, Kurukshetra and Spardha were conducted across the three days of the fest. The participants were seen simulating real time scenarios across various modules intensively. Students also put on their thinking caps while competing for MTV Campus Diaries’ event, The Campus Chronicle, which required them to write an article on B-School life. The top 3 articles will be seen on MTV’s official blog. 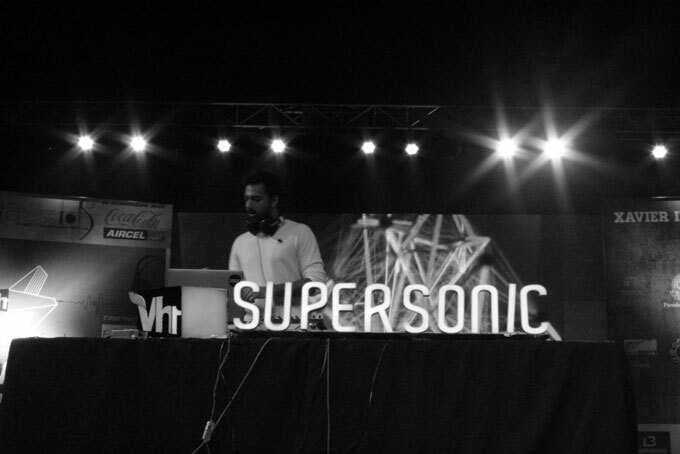 This year XIMB also played host to VH1 Supersonic 101, a music fest which celebrates genres like Electro-pop, house, etc. The event was spearheaded by DJ Gurbax who performed for the crowd. The event saw a huge number of fans grooving to the music. Xansad, a parliamentary debate competition witnessed intense debate sessions across all the teams and gave a sneak peek into the diplomatic thinking and energetic approach of today’s youth to speak up about the issues at hand. The literary association conducted Flight of Fancy, an event where literary enthusiasts got the opportunity to express their creativity. Ms. Bhavna Arora, author of the national bestseller, the deliberate sinner judged the event and gave away autographed copies of her book to the winners. Pratibimb, a face painting competition, had participants showcase their creativity and innovation through the effective use of colours.. Prayaag, an event that showcased the talent of the differently abled members of Ability Unlimited Foundation was also a great hit with the audience. XQuizzite conducted their flagship event Inquizzitive consisting of a business and a general quiz. The event saw active participation and presented a platform for participants to showcase, as well as add to, their existing knowledge. Case study competitions like Mpower, Maven, Case in Point, and Case connect conducted by the various functional committees, challenged the participants to brainstorm and come up with unique solutions to real time business problems. A film making competition called ‘The Final Cut’ was organized in association with Six Sigma films and witnessed great participation. Viraasat, hosted by Spicmacay’s XIMB chapter, was a classical music competition in three categories - Classical Dance, Classical Singing and Instrumentals. It was very well received by participants and the audience alike. Online events like Nirnay, an in-house business simulation game; Parikrama, an online treasure hunt, Trade Wars, an online trading event and EnigmaX, an event exclusively for the alumni of the college, received huge participation and presented to the participants an opportunity to participate in Xpressions while sitting home. 92.7 BIG FM Bhubaneswar, Odisha in association with Xavier Institute of Management, Bhubaneswar, held the RJ Hunt 'BIG Xpressions in 60 seconds', which saw people from all walks of life trying their hands at becoming a Radio Jockey for a minute, right after which a talent hunt competition hosted by MTV India was conducted. 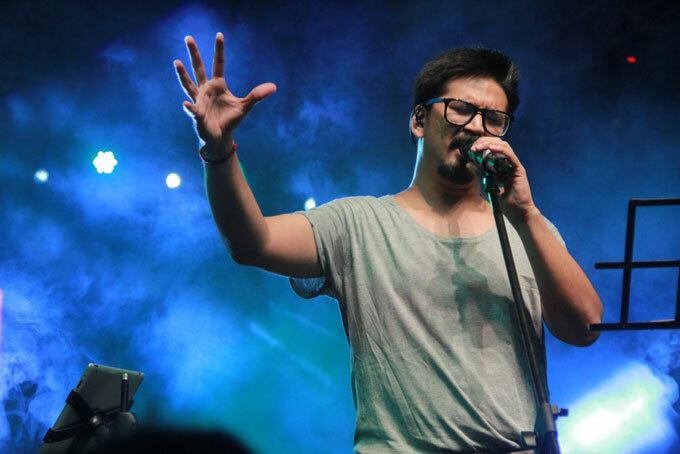 The biggest event of the entire three day extravaganza, however, was unequivocally, Celeblitz, for which National Award Recipient, Amit Trivedi performed live. XIMB echoed with the sound of popular tracks from movies he gave music to and of course Coke Studio for which he collaborates with MTV. Mili Nair was the female lead vocalist for the event. The other artists who performed were Divya Kumar Pushkarna (singer) ,Arun Haridas Kamath (Backing Singer), Jai Row Kavi (Drummer),Warren Mendonsa (Guitarist), Sanjoy Das (Guitarist), Adi Mistry (Bass), Beven Fonseca (Keyboards), Arshad Khan (Esraj & Harmonium) and Chirag Katti (Sitar). The talented crew got the audience swaying and dancing to the tunes of well known tracks from Bollywood such as Maanja, Iktara, Pardesi, London Thumakda, Ishaqzaade, Pareshaan and Emotional Atyaachaar. The other compositions of Amit Trivedi like Chowdhary, Nariyan, Badri Badariya, Yatra were also a great hit with the public. The crowd enjoyed to the fullest and was extremely pumped up all through the performances. Xpressions,’14 could not have concluded in a better manner.